I wanted to kiss this woman so bad, I wondered how I would stay alive without it. 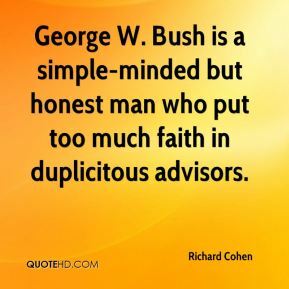 George W. Bush is a simple-minded but honest man who put too much faith in duplicitous advisors. 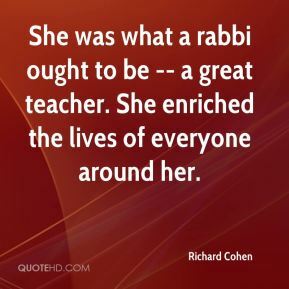 She was what a rabbi ought to be -- a great teacher. She enriched the lives of everyone around her. 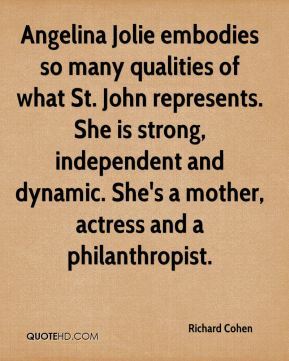 Angelina Jolie embodies so many qualities of what St. John represents. She is strong, independent and dynamic. She's a mother, actress and a philanthropist. 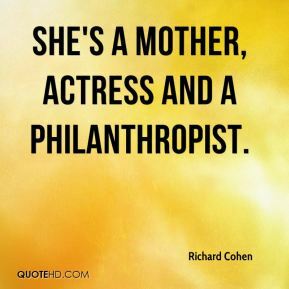 She's a mother, actress and a philanthropist. I don't think a ruling in our favor means that suddenly every government form is going to have to be printed in every foreign language. 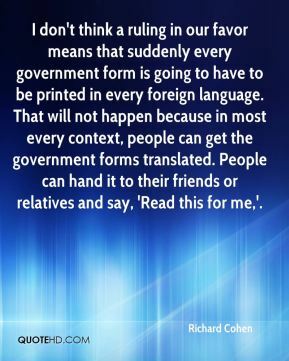 That will not happen because in most every context, people can get the government forms translated. People can hand it to their friends or relatives and say, 'Read this for me,'. It's the beginning and every journey has a beginning, ... 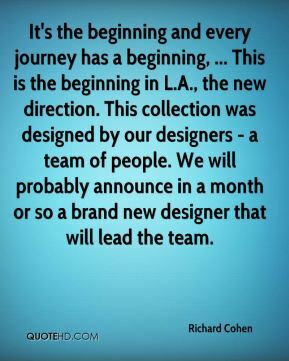 This is the beginning in L.A., the new direction. This collection was designed by our designers - a team of people. We will probably announce in a month or so a brand new designer that will lead the team. We recognize all young children need to build foundations in traditional content areas, like reading and math, and we continue to provide children with the tools they need to be successful in these areas. However, research tells us that some children have higher musical or interpersonal skills than others. 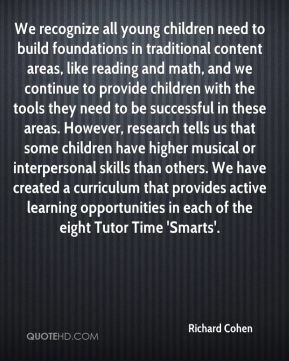 We have created a curriculum that provides active learning opportunities in each of the eight Tutor Time 'Smarts'. 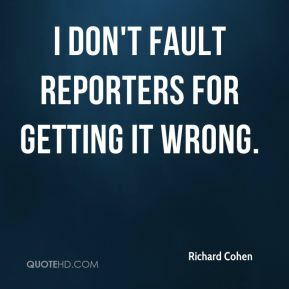 I don't fault reporters for getting it wrong. We recognize that all young children need to build foundations in traditional content areas, like reading and math, and we continue to provide children with the tools they need to be successful in these areas, ... However, research tells us that some children, for example, have higher musical, interpersonal or reflective skills than others. 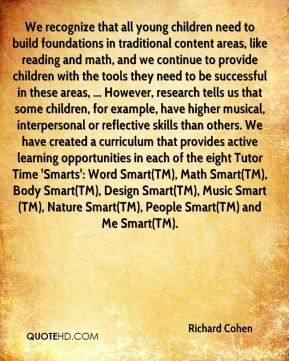 We have created a curriculum that provides active learning opportunities in each of the eight Tutor Time 'Smarts': Word Smart(TM), Math Smart(TM), Body Smart(TM), Design Smart(TM), Music Smart(TM), Nature Smart(TM), People Smart(TM) and Me Smart(TM). 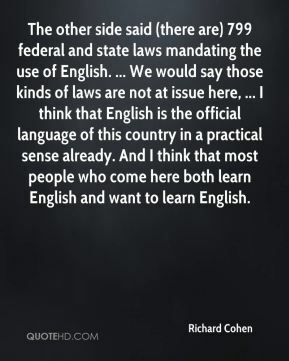 The other side said (there are) 799 federal and state laws mandating the use of English. ... We would say those kinds of laws are not at issue here, ... I think that English is the official language of this country in a practical sense already. And I think that most people who come here both learn English and want to learn English. 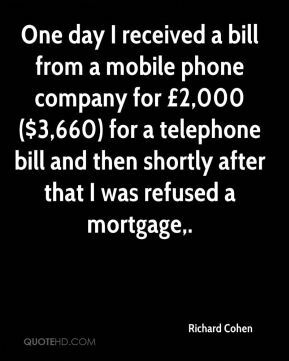 One day I received a bill from a mobile phone company for £2,000 ($3,660) for a telephone bill and then shortly after that I was refused a mortgage. I did not realize I should destroy personal records. 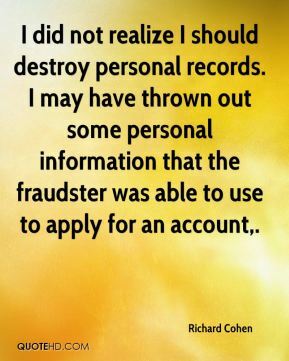 I may have thrown out some personal information that the fraudster was able to use to apply for an account. I was 13 when Dr. King was slain. I didn't have the opportunity to know him. 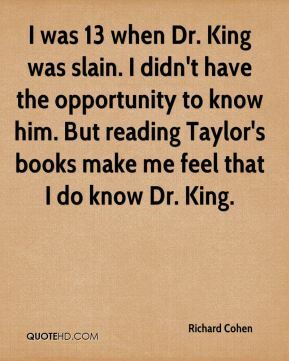 But reading Taylor's books make me feel that I do know Dr. King. Saturday morning at 12 o'clock, you're going to have a very dangerous situation. 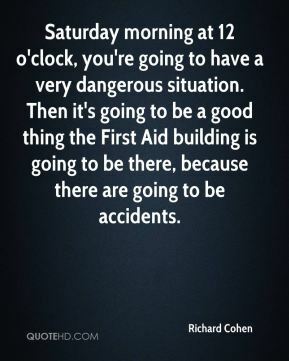 Then it's going to be a good thing the First Aid building is going to be there, because there are going to be accidents. 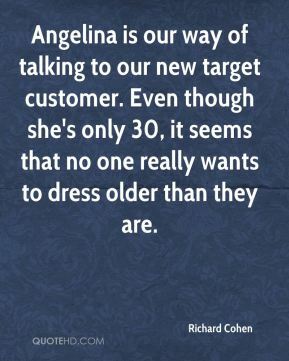 Angelina is our way of talking to our new target customer. Even though she's only 30, it seems that no one really wants to dress older than they are. 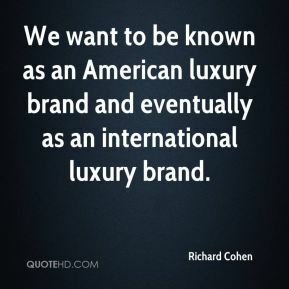 We want to be known as an American luxury brand and eventually as an international luxury brand. 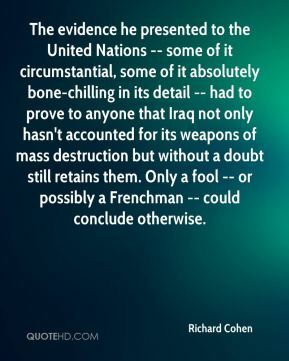 The evidence he presented to the United Nations -- some of it circumstantial, some of it absolutely bone-chilling in its detail -- had to prove to anyone that Iraq not only hasn't accounted for its weapons of mass destruction but without a doubt still retains them. Only a fool -- or possibly a Frenchman -- could conclude otherwise. Like PACE, we at Learning Care Group are committed to creating educational environments that inspire a lifelong love of learning. 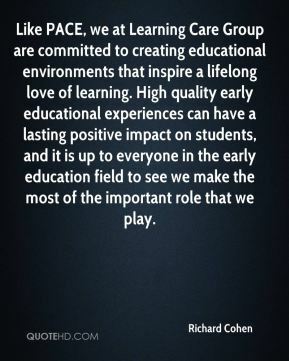 High quality early educational experiences can have a lasting positive impact on students, and it is up to everyone in the early education field to see we make the most of the important role that we play.